Highlands - This unique end unit townhouse will wow you! The owners have upgraded the outside with stone accents & have freshly painted the deck. It spans over nearly 2,100 square feet & offers a split level style with multiple levels for entertainment. The living room offers a cozy corner fireplace, perfect for those winter nights & intimate get togethers. 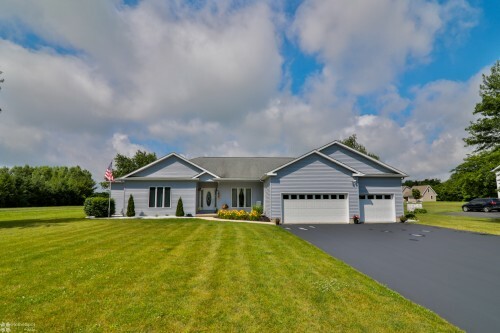 The home is complete with a garage, central air, efficient gas heat, & a hot tub. With 4 bedrooms & 2.5 bathrooms, this home will offer you all the space you could desire at an amazing price! The community also offers a pool included in the HOA. 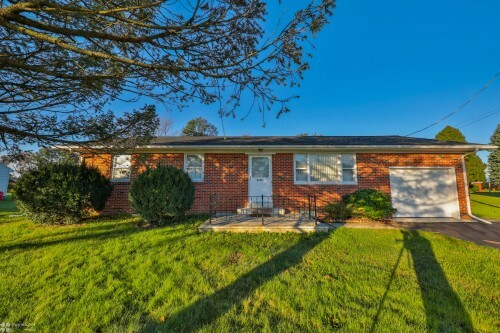 This home is located near all major commuting routes, such as route 22, 33, 78 & is near Historic Downtown Easton. It won't last long, so don't hesitate!! Village at Fox Crossing - This freshly painted ranch is waiting for its new owner! The completely open concept entrance offers tons of natural sunlight through the entertaining space. The home offers central air, a one car garage with a double width driveway, & master suite with walk-in closet & private bathroom. Move right in & forget the maintenance, as lawn care are incorporated into the monthly fee. Call today for you private showing! Allen Township Twin - This This Allen Township home is ready for someone new to claim it as their own! It features 4 bedrooms & 1.5 bathrooms, with the half on the first floor. The home has newer windows & offers off street parking. The owner has had the carpets professionally cleaned & has painted the home for a fresh feel. The home also has a large kitchen & 1st floor laundry. This home also features incredibly affordable taxes!! Don’t miss out on the opportunity to make this your new home! home is ready for someone new to claim it as their own! It features 4 bedrooms & 1.5 bathrooms, with the half on the first floor. The home has newer windows & offers off street parking. The owner has had the carpets professionally cleaned & has painted the home for a fresh feel. The home also has a large kitchen & 1st floor laundry. This home also features incredibly affordable taxes!! Don’t miss out on the opportunity to make this your new home! 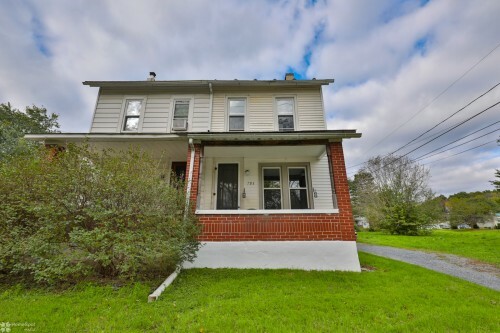 Catasauqua Gardens - This Catasauqua home is ready for someone new to call it theirs! 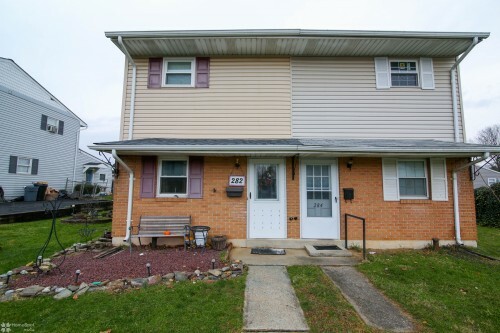 This adorable home offers so much & is move in ready! Featured downstairs are 2 family rooms & a wood burning stone faced fireplace. Upstairs offers newer laminate floors. The home also has central air, off street parking, a fenced in yard, & the main roof was replaced in 2015. Call today to make this your new home! Well Maintained 2.5+ Acre Lot in Nazareth - This is your opportunity to own a spectacular, well manicured lot on over 2.5 acres in Nazareth SD. This lot is perfectly placed on a cul de sac and offers priceless peace and quiet as it nestles back to the treeline. 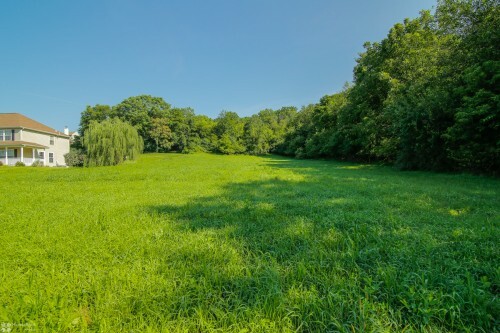 This land offers natural gas, underground utilities, and public water and sewer. No need to worry about an unsightly sand mound being placed on the front lawn. This is one of the few lots available in Nazareth and today is the day you take one step forward to building your dream home. Plainfield Township Ranch - Welcome to this Plainfield Township four side brick ranch! This home will greet you with solid oak hardwood floors. It offers 3 bedrooms & a garage. The exterior boasts a large shed, covered patio, & gorgeous flat backyard. With so few ranches on the market, don't wait too long to see this beauty! 841 Slate Belt Boulevard, Washington Twp - Here is your once in a lifetime opportunity to purchase the perfect mixed use home. This property offers over 4,300 sq ft combining a commercial use section of the building and a beautiful residence with multiple fire places, amazing hardwood floors, and upgraded kitchen. Separate HVAC for the business and residential sides along with separate electric making this the ideal property for an in home business. 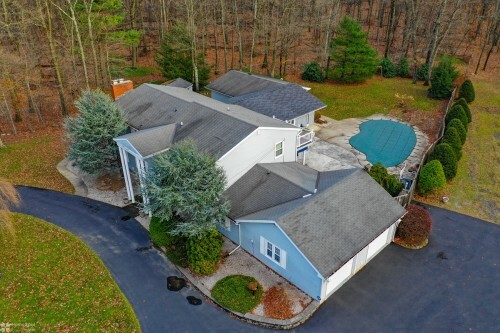 Set on a beautiful fenced in 1 acre + lot with in-ground pool, this property offers all of the serenity of a typical home paired with a stately front entrance for your business. This is the opportunity you have been waiting for. Call today to set up you private VIP tour! 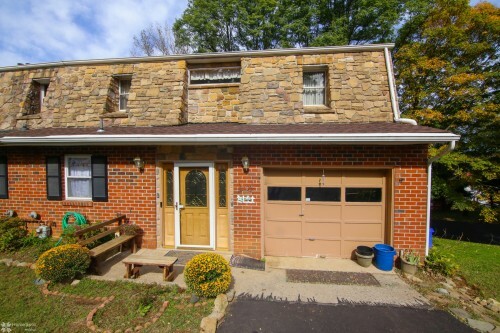 1371 Keller Road, Bushkill Twp - Welcome to this large, well kept ranch in Nazareth School District! As you pull in, you will take notice to the wide driveway, 3 car garage & perfectly manicured landscaping. Upon entering, you are welcomed by a massive open concept living room that will allow you to throw the get-togethers of your dreams. The kitchen features ample counter & cabinet space with granite, stainless steel appliances, & a beautiful breakfast bar. This home has no shortage of windows, which offers beautiful natural light to happily spill in. The home offers 4 bedrooms, 1 of which is currently being used as an office. Each of the 2.5 bathrooms have been updated with new fixtures, water efficient toilets & tile. The master features its own private bath, walk-in closet, & the perfect nook that you can curl up in to read your favorite book. The home also features a $40,000 geothermal energy efficient heating system, 1st floor laundry, & large basement. Don't miss your opportunity to see this gorgeous home. 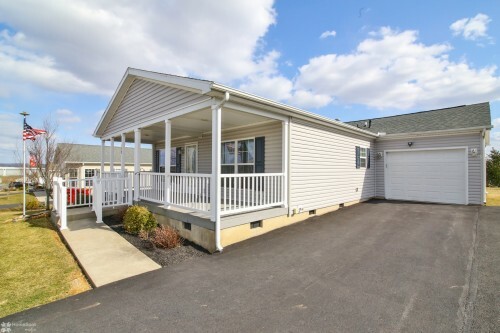 30 Morris Street, Upper Nazareth Twp - This Nazareth School District home is ready for someone new to make it theirs! 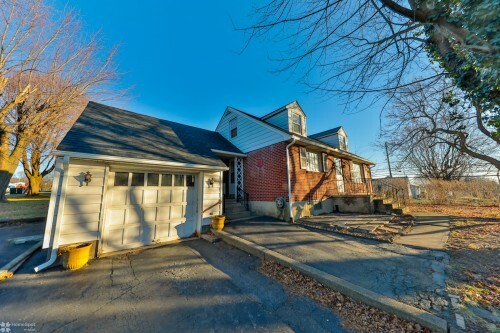 Conveniently located by the Nazareth Borough Park, you'll be located just ten steps away from basketball courts, tennis courts, a baseball field, skate park & public pool. The home offers 4 bedrooms. It has 1.5 bathrooms on the main living floors & an additional full bathroom in the lower level. The first floor boasts hardwood floors & a large eat-in kitchen with tiled floors. The home owner has also replaced the furnace & roof at the tail end of 2018. With a 1 car garage & additional storage in the attic, this charming home has it all. Set your appointment today! Clovershire Estates - This Bushkill Township brick colonial will steal your heart with its picturesque setting & welcoming feel. The owners have maintained this home to perfection. The home sits on a gorgeous lot & is surrounded by rolling valleys & mountains – a view that will wow your guests for years to come. The home greats you with manicured landscaping & beautiful woodwork. The family room boasts a cozy fireplace. The dining room is adorned with crown molding, chair rail, & a decorative lighting fixture medallion. The kitchen features granite counters, stainless steel appliances, pantry, & built in wine rack. The master ensuite's bathroom has been upgraded to a granite counter top & includes a vanity area. The fenced in backyard will prove to be your sanctuary at this home. The beautiful paver patio opens up to the extended covered area that is embellished with classic columns & finished off with a paddle fan. This home is ready to embrace a new owner. Don't miss out on this opportunity!